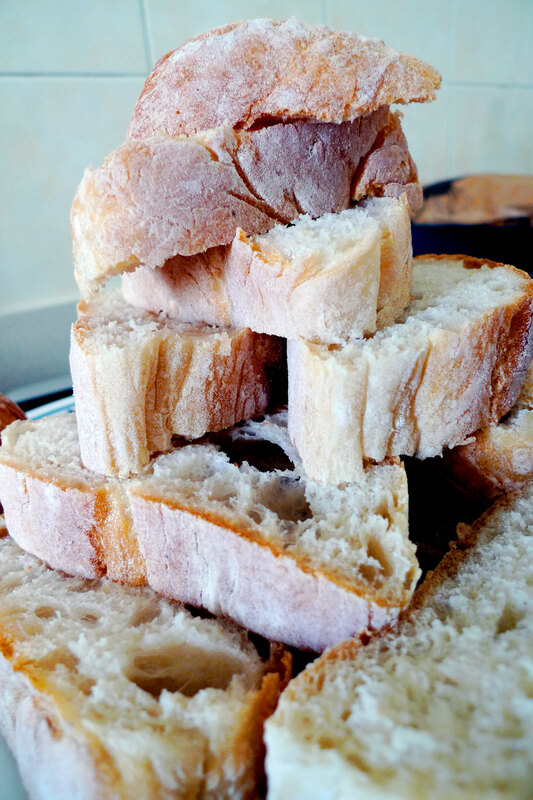 What to do with a mountain of ciabatta? Eat it as bruschetta! 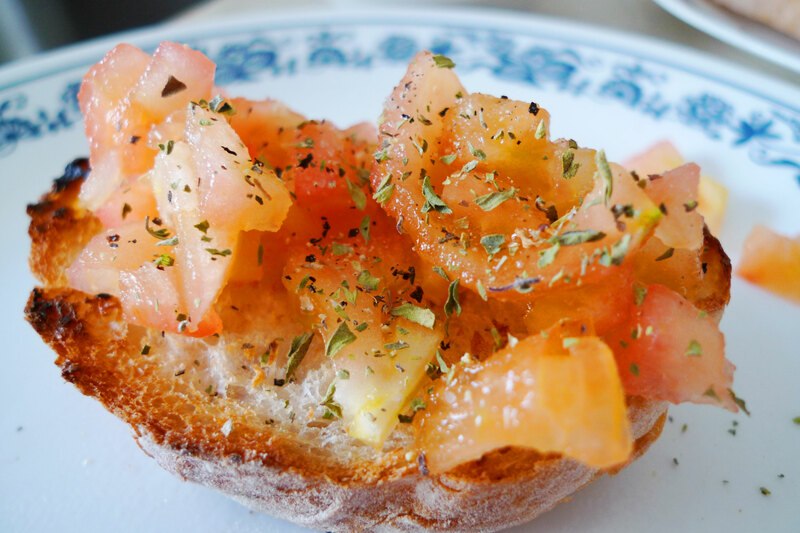 Traditionally, bruschetta is just grilled Italian bread, topped with a bit of olive oil, then rubbing a mashed garlic clove over it and grinding some salt and pepper. 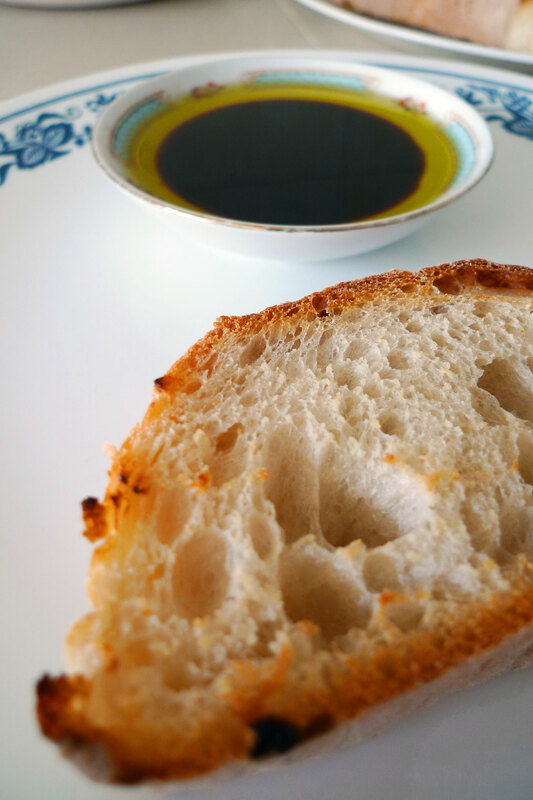 The EVOO gives a fruity taste that contrasts with the acidic balsamic vinegar. It’s addictive in a way and I can’t stop mopping it up with the bread. 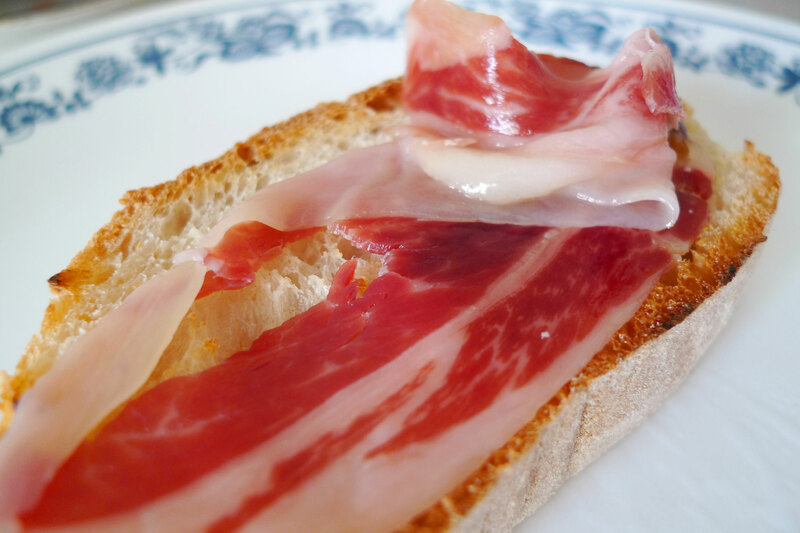 Jamon iberico ham is a type of ham that is produced in Spain by the black Iberian pig. It has a smooth taste and a deep flavour that really differentiates it from other types of bacon like prosciutto. The fat also melts away in your mouth and doesn’t have that greasy aftertaste. Drizzled with extra virgin olive oil, topped with salt, black pepper and basil. Simple but very good. A clean and refreshing taste. 6 Responses to "Bruschetta, eaten in 3 ways"
mm bruschetta! I always forget about this one dish whenever I’m trying to think of things to snack on at home. Yup it’s simple to make and quite healthy :D!